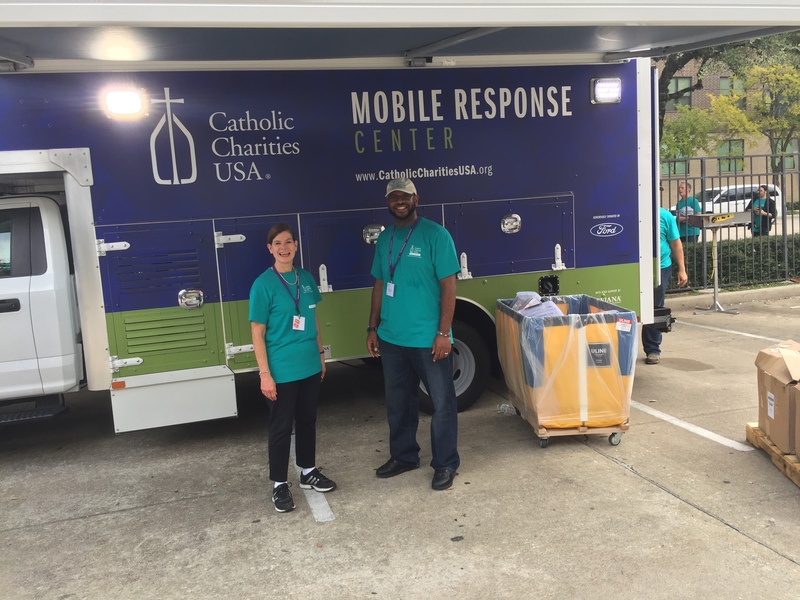 Catholic Charities of St. Louis (CCSTL) attended the 2017 Annual Gathering sponsored by Catholic Charities USA from September 28-30 in Houston, Texas. 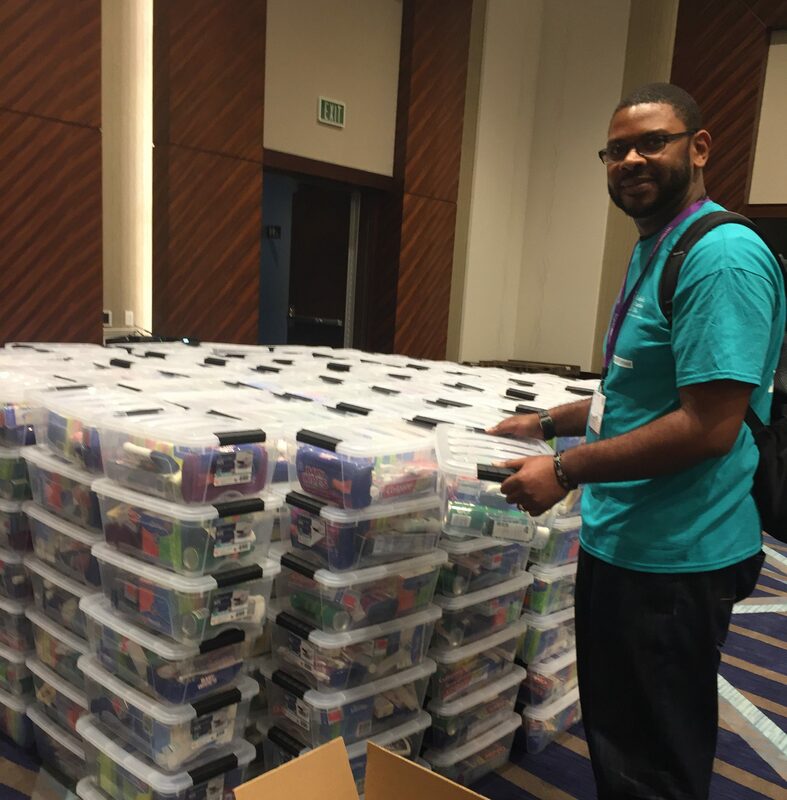 President Theresa Ruzicka, CPA, Director of Service Integration, Tyrone Ford, MSW, LCSW, Chief Quality Officer Gayle Shank, MBA, Director of Advocacy & Engagement Tamara Kenny, JD, MSW and Assistant Director of Quality Improvement Padraic McGrath, MPPA attended the conference and participated with disaster relief efforts to those affected by Hurricane Harvey. During the 2017 Annual Gathering, the Catholic Charities Agencies helped Houston families by distributing household supplies, hygiene times, and diapers. Furthermore, they served fresh food to those in need at a local food pantry. “It was a great opportunity to serve at during the disaster recovery opportunities in Houston. I applaud CCUSA for turning its Annual Gathering into a service filled experience,” said Tyron Ford.